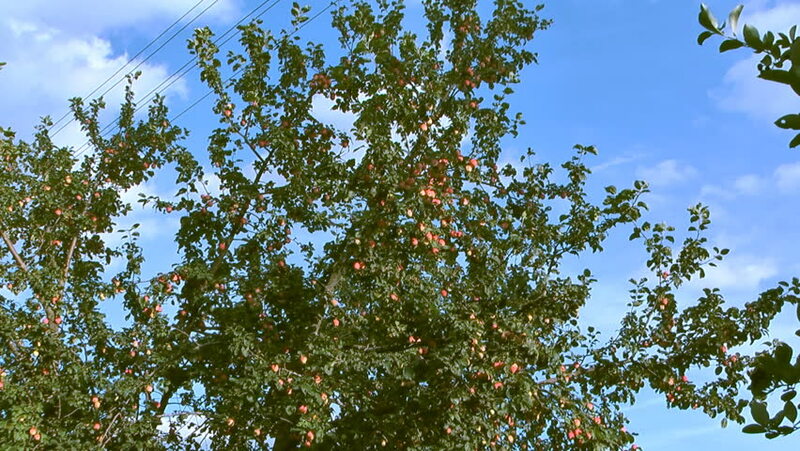 Many red apples on a tree against the blue sky. hd00:11crowns of forest trees. Leafy trees in early spring. A view of the tops of trees. The leaves of the branches only began to dissolve. Video 1080p - Crowns of trees with bright afternoon sun and rays.